We provide an outlook for payor reimbursement rates and methodologies across all government and private payors. This analysis is provided at a national, state and local level to help our clients understand trends and predict future rates and methodology used by Medicare, Medicare Advantage, Medicaid, Medicaid Managed Care, Workers’ Compensation and Commercial Insurance. 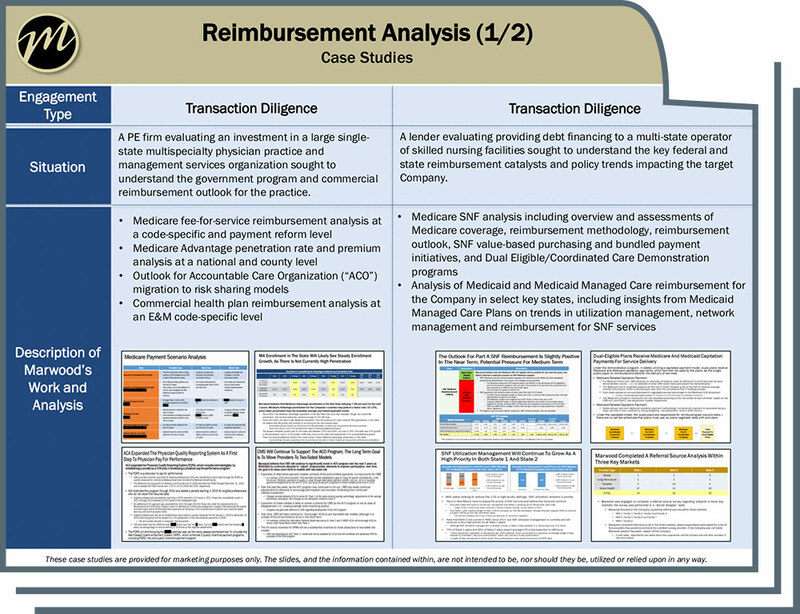 Our Reimbursement team combines proprietary data sets, Medicare claims data and commercial claims data with deep industry experience to provide insights on the future of reimbursement rates, reimbursement methodologies and utilization management techniques of payors.